Until a few years ago, growth hormone (GH) was considered essential in the control of linear growth, glucose homeostasis, and skeletal muscle mass. More recently, a series of studies have unequivocally proven that the heart is a target organ for the GH/IGF-I axis, which modulates cardiac structure and function. The importance of the GH/IGF-I axis is also supported by several lines of experimental evidence demonstrating that GH/IGF-I affects the determinants of cardiac output (preload, afterload, and contractility), through direct and indirect mechanisms. 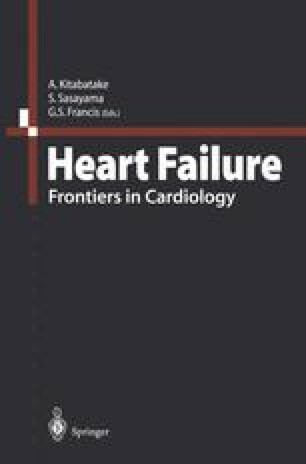 The therapeutic options available for the treatment of heart failure are few, and the overall prognosis for this disease remains very poor. Recent studies employing growth factors, which activate myocardial growth by inducing a physiological kind of hypertrophy, seem exciting. In this regard, GH and IGF-I may be the best candidates to produce a growth response in the heart. The large amount of novel information derived from the experimental and clinical studies on GH and cardiac function suggests that this field of research will be an important area of future investigations. Basic research is needed to discover the complex intracellular pathways of GH and IGF-I and to clarify their growth-promoting and positive inotropic actions. Furthermore, survival animal studies employing GH may potentially address whether the beneficial hemodynamic effects of GH in experimental heart failure would translate into a better prognosis for human heart failure.